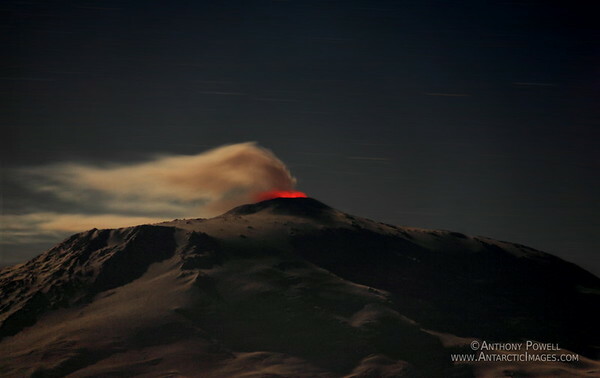 Mount Erebus at night, the world's southernmost active volcano. You have managed to capture my fantasy image of this volcano. Having spent three seasons there with this volcano in plain view gave me pause to wonder if it could ever be experienced in this situation. I don't know how you accomplished this, but it is amazing! Cool image...or should I say Hot.